This one's my all-time favorite! Inspiration came after dealing with a difficult client who was demanding that we continue to provide services even though his unpaid account was waaaaaay past due. If you don't get it, try pointing your finger at someone close by and saying out loud over and over, "You want [insert noun here]? 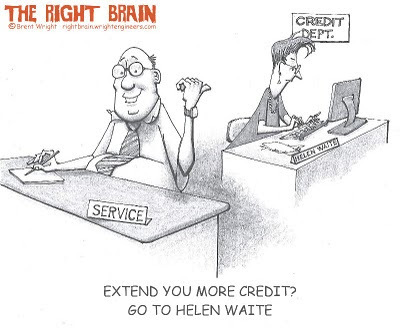 Go to Helen Waite!" Click here for Helen Waite's associate Helen Back.